This is an uncomfortable article because it deals with an aspect of life that most of us do not want to deal with, that is the fact that no matter how hard that we try that human beings are capable of some of the most heinous crimes imaginable. That being said, war, no matter how undesirable is not an autonomous military action that can be separated from passions of the people involved. Clausewitz wrote about the connection between the people, the army, and the government. This article is a portion of a further researched and re-written article that I posted here a few months back. However, that being said, it is based on the simple reality that war and conflict is based in the realm of hatred. We may find reasons to try to justify this, but the fact is that war and conflict falls in the realm of hatred. I guess that Clausewitz really never goes out of style. On Monday I will post another article from this text on a similar topic from my text. “Spiritually and morally they belonged to the age of the Industrial Revolution. Their guiding principle was that of the machine which was fashioning them, namely, efficiency. And as efficiency is governed by a single end- that every means is justified- no moral or spiritual conceptions of traditional behavior must stand in its way.”  After he left Atlanta, many towns were treated leniently, even Savannah where a significant number of influential people desired peace, and Sherman, in a politically astute move attempted to nurture division in the population of the Confederacy. 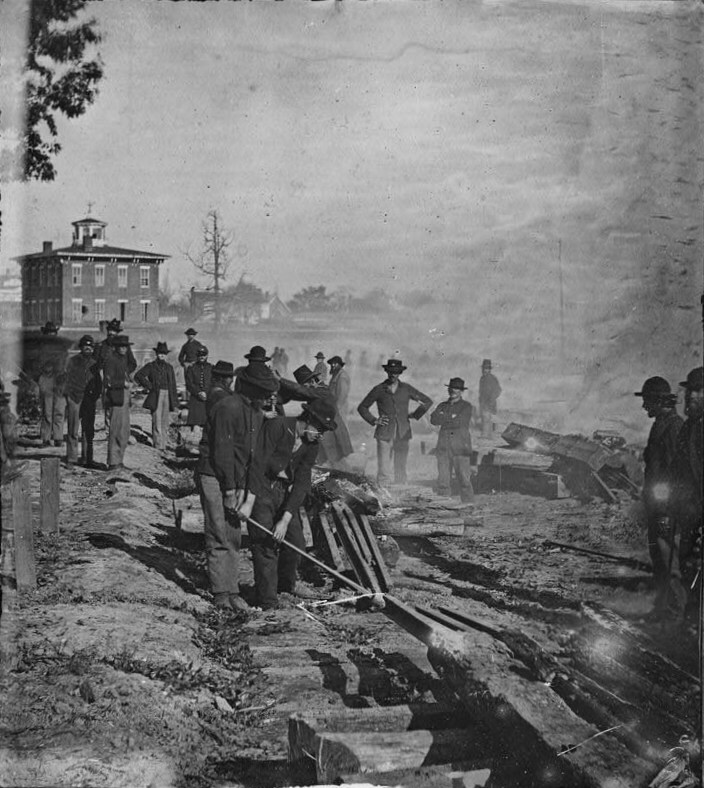 Sherman told the mayor of Atlanta after ordering the civilian population expelled that “we are not only fighting hostile armies, but a hostile people, and must make the old and young, the rich and poor, feel the hard hand of war.”  Sherman was one of the first American military leaders to understand that a civil war could not be waged according to the limited war doctrines most American officers had been taught. He not only “carried on war against the enemy’s resources more extensively and systematically than anyone else had done, but he developed also a deliberate strategy of terror directed against the enemy’s minds.”  While some might find this troubling, especially those who attempt to rationalize “war because they find difficulty accepting the elemental forces at its centre.”  But the fact remains that it was Sherman’s Southern sweep of all that lay before him that broke the back of the Confederacy. 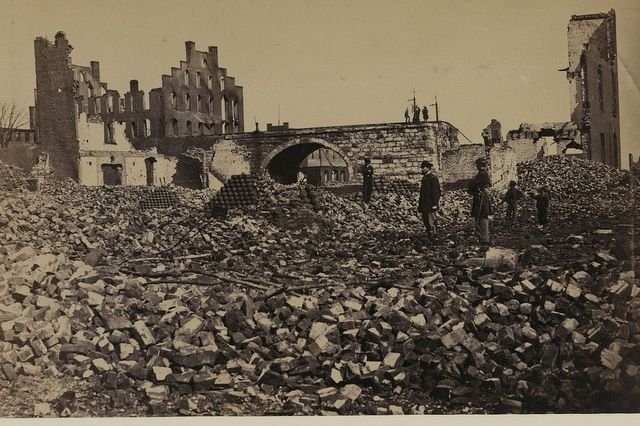 The effect of Sheridan’s rampage was soon felt across Virginia and the Carolinas, shortages of all kinds arose on the Confederate home front and soldiers began to question where the war could be won, and for the first time desertion became a major problem for Lee’s army as soldiers elected to go home to do what they could to help their families. So, is genocide the answer? We must totally destroy those who think differently than us? Do we wipe out the Christains, the Muslims, or the homosexuals? Or do we try to let freedom rule the day, where people live as their individual conscious directs? Do we try to work around each other’s biases and flaws or do we attempt to exterminate one another? I realize there is no heaven on earth, but I still want to try and live in peace, if possible. Sadly you missed the point completely. The article neither endorse or talks about genocide. But agree with what you said regarding the kind of world that I want to live in, but the article deals with historical reality about a war in which one side declared it’s place as slave republic, and fought to maintain where it was and expand slavery wherever it could. The war that was carried on against them was first carried on in a very limited way until it became apparent that doing so would never work, and it became a war not just of reunification and putting down a rebellion, but a war of liberation. The article deals with the realities of war which according to Clausewitz are distinctly part of our human nature, both the good and the bad. This makes him a theorist that more people, and not just military people, but politicians, policy makers, educators, media figures, and ordinary citizens should study. By actually taking the time to read what he says we may be spared war and look to other solutions, because war, like it or not, is simply an extension of politics and policy. If we can shape policy towards peace, than the extension of it by war may never be needed. What that war did was to enable changes in the Constitution and laws of this country which have brought civil rights and liberties to more and more citizens beginning with African Americans and now extending out to women, other minority groups, and most recently LGBTQ people. Without a Union victory in that war it is unlikely that any of these things would have occurred. That is something to think about. I do want to live in the world that you describe and work to it every day, and I always thank you for your comments, because if one person has misinterpreted what I say,mothers may be many more. Your comments allow me to correct any misunderstanding and deepen the conversation. This they are incredibly important to me, and I thank you for offering the. I wish we could learn from that terrible war, from that terrible time. I don’t think we have truly learned the lessons though. I think every single day we continue to unravel. As always you give much to consider.